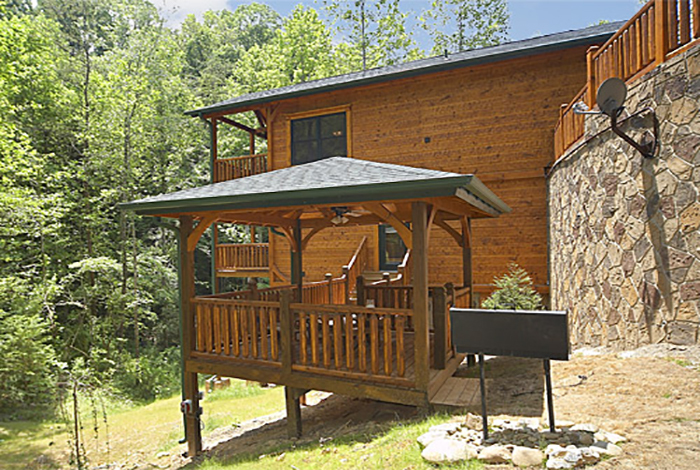 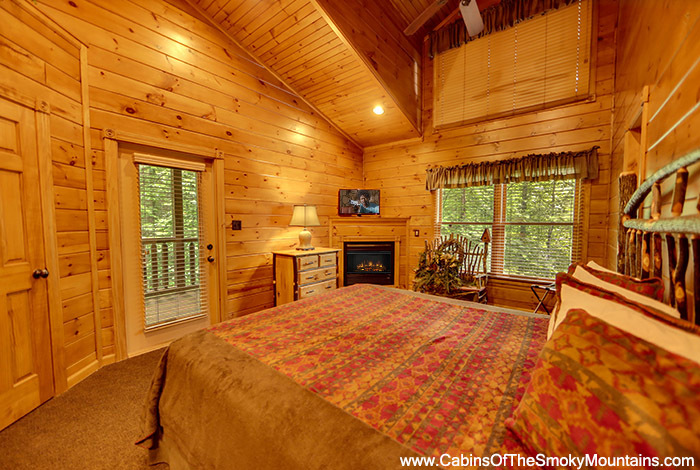 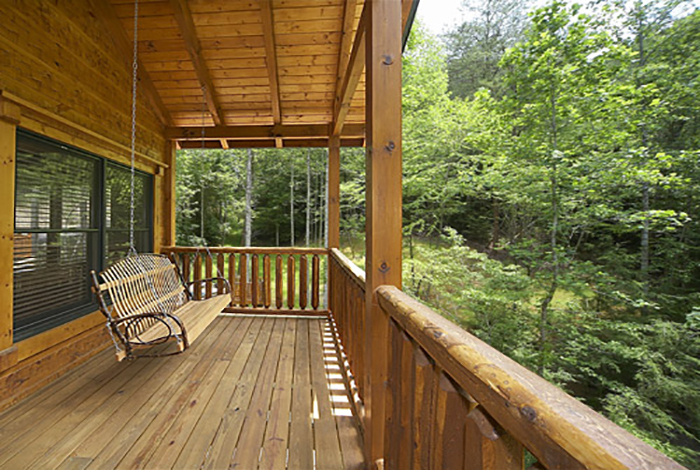 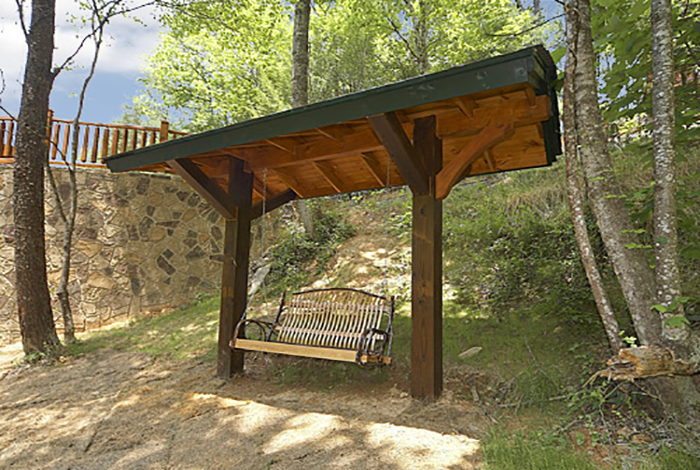 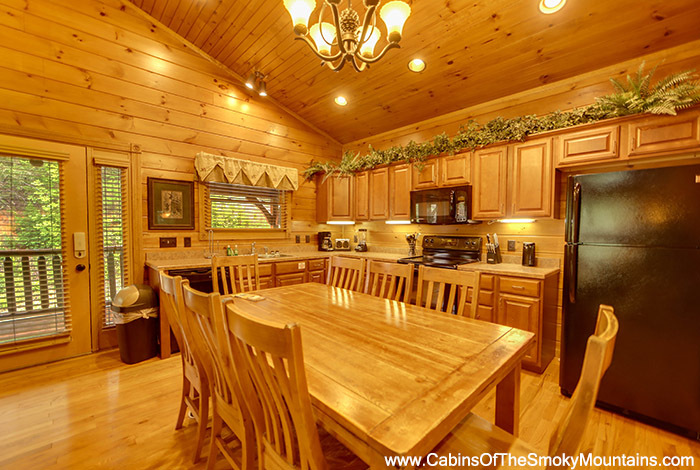 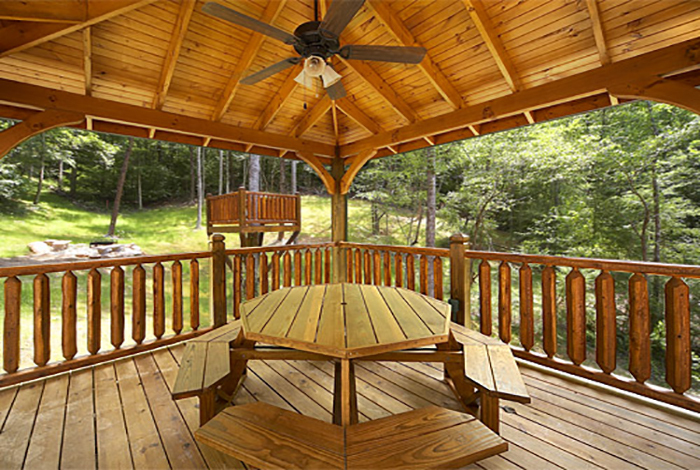 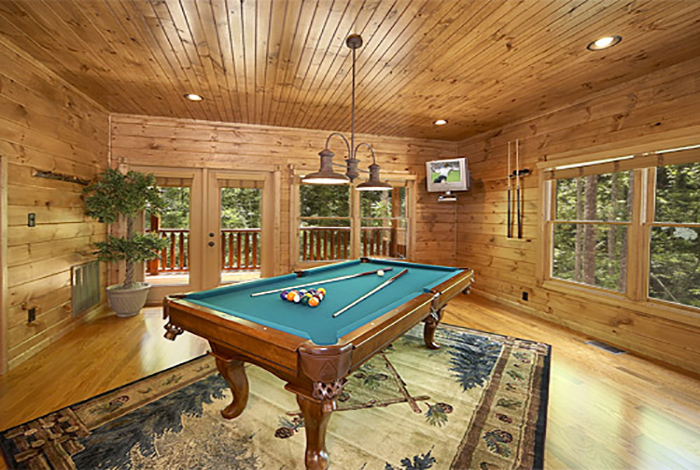 The family getaway of your dreams awaits you at It Takes Two, a luxury 2 bedroom Gatlinburg cabin rental located in the secluded Gatlinburg Falls at the Park Resort. 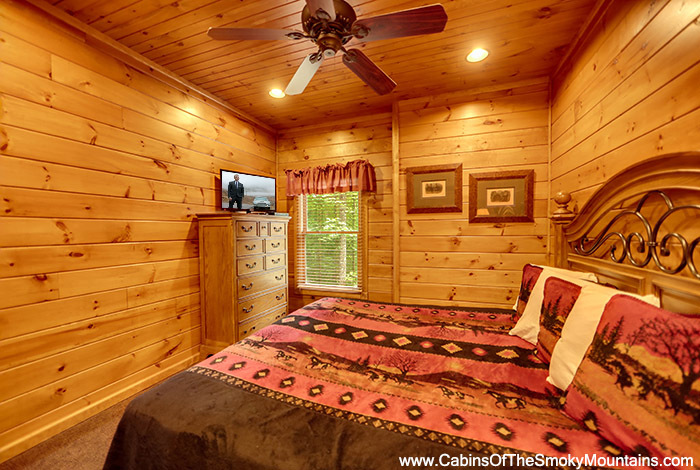 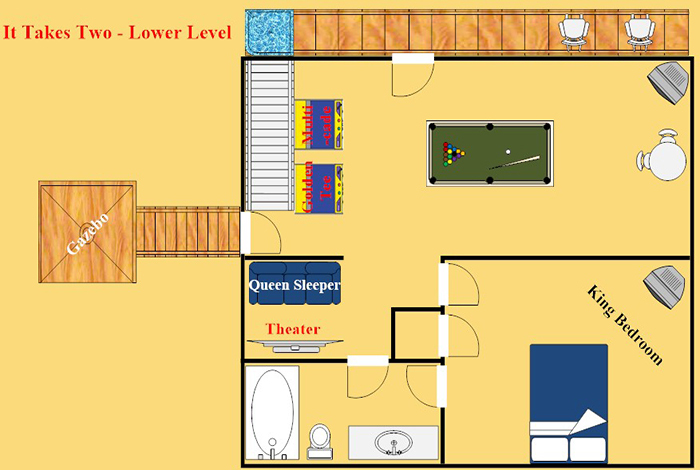 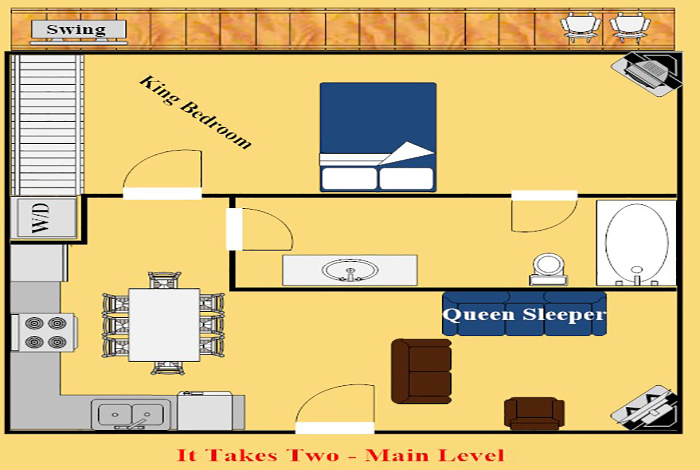 Up to 8 guests can be comfortably accommodated in this cabin with its 2 king bedrooms and 2 queen sleeper sofas; and there are plenty of options to keep everyone entertained. 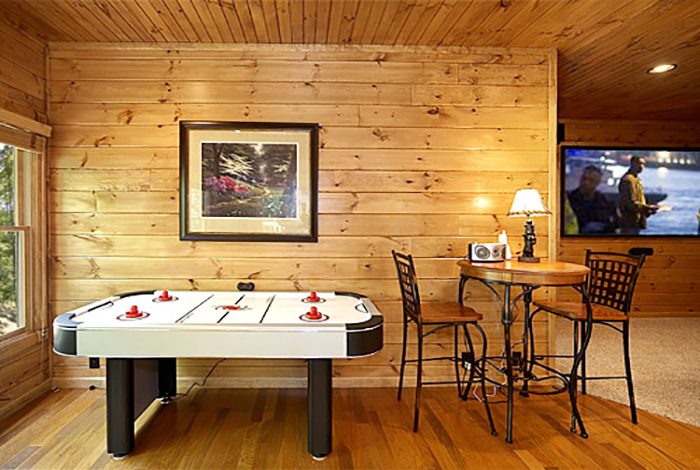 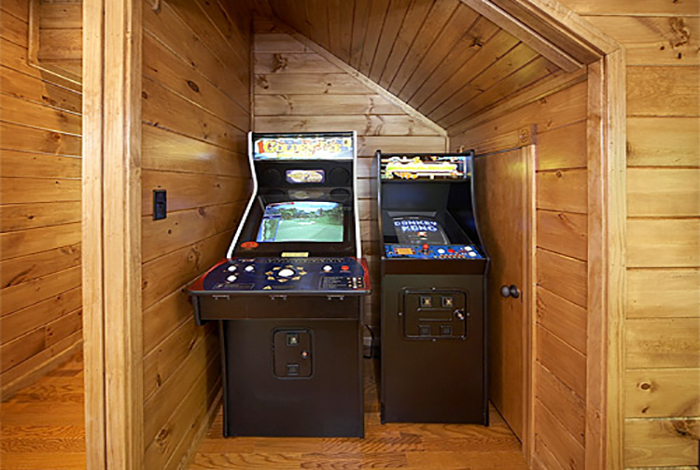 Children will love playing in the game room which is stocked with Pool Table, Golden Tee, Air Hockey, and Multicade with over 20 arcade games. 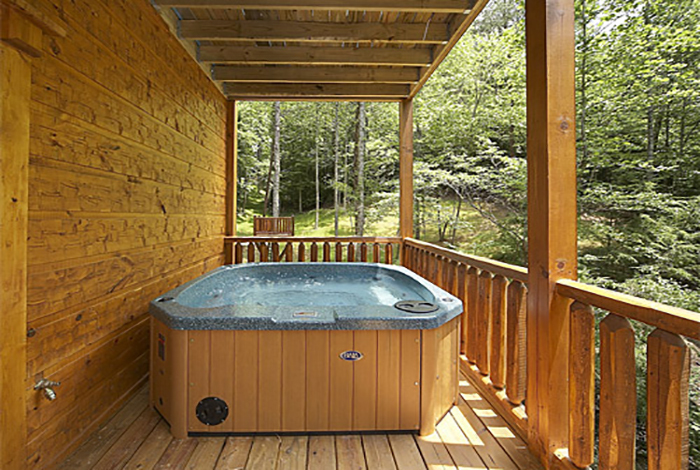 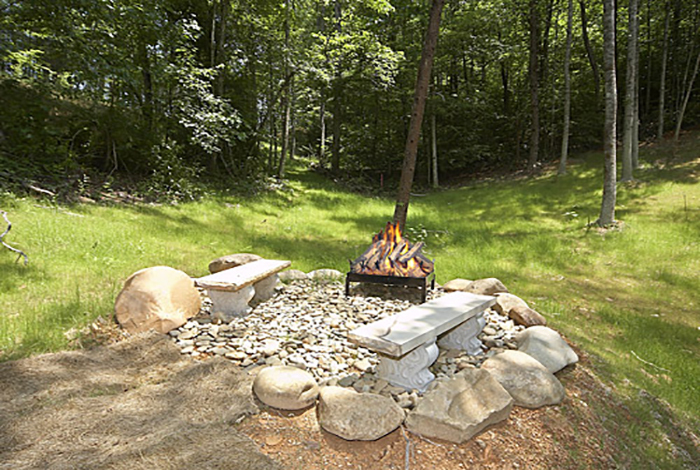 Adults can enjoy the picturesque park-style views while relaxing in the hot tub and Amish rocking chairs on the deck, or from the park swing in the back yard. 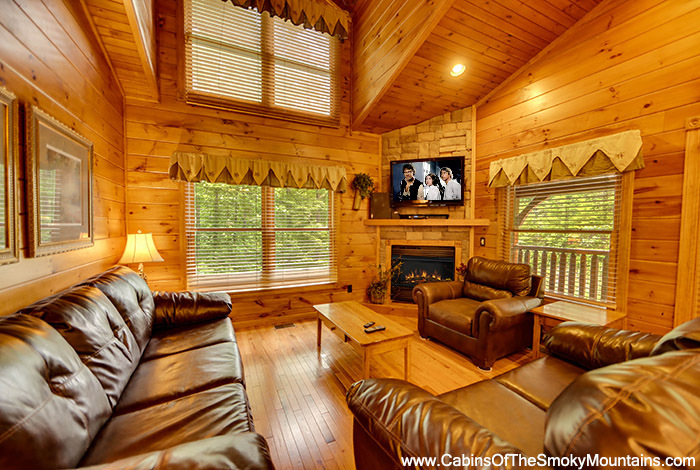 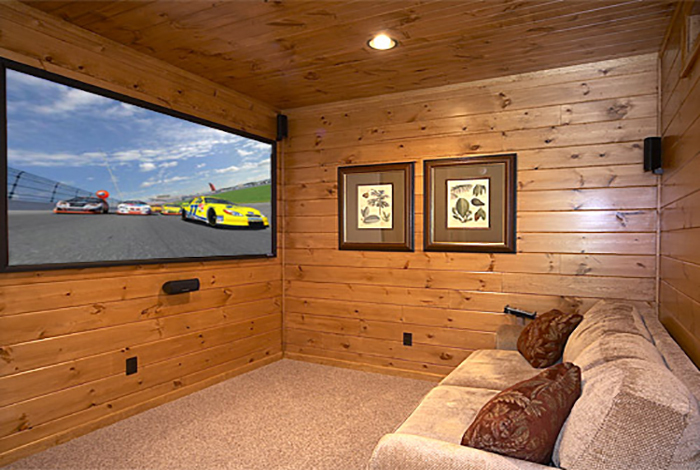 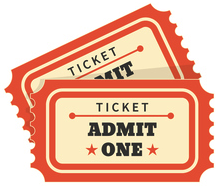 The interior also features 3 TVs with premium cable and Home Theater with sofa seating, and everyone can gather in the backyard at the covered picnic pavilion or fire pit. 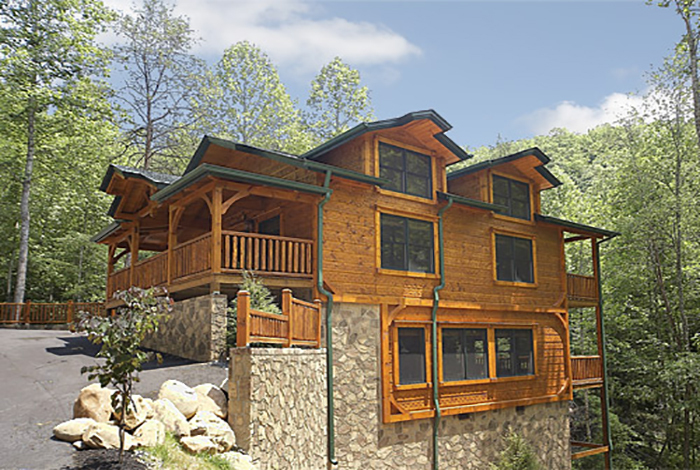 A combination of these premium amenities and a location convenient to Gatlinburg and Pigeon Forge makes It Takes Two the perfect spot for your next family getaway.